We started organize hunting trips in 2003 in Azerbaijan but with the time passed the area of our routes involved not only the CIS countries but Asia, Europe, Africa, The North America and the South America and Oceania as well. You have an opportunity to choose an exclusive tour. Also you can choose any trophy to fill up your collection. 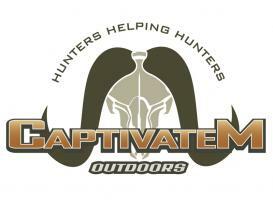 You can always count on our professional support in organization of hunting. We will be happy to organize your hunting and the overall travel. So let us realize your dreams together. Education: Higher. He has been involved in tourism business since 1999 and since 2003 particularly in hunting business. He is the first man who organized and organizes hunting abroad of Azerbaijani hunters. He acts as hunting guide in all suggested countries. Language skills: Azeri, English, Russian, Turkish, Italian. Motto: Fortune accompanies courageous ones. Proud of member: SCI, OVIS, Wild Sheep Foundation, Dallas safari club. Education: Higher. He has been involved in hunting business since 2003 . He is the first man (with Asif) who organized and organizes hunting abroad of Azerbaijani hunters. Faiq is Azerbaijan Free Fight champion and has big authority in Azerbaijan and CIS. He is expert in taxidermy work. Our company has show room in Baku where you can find many interesting taxidermy compositions. Motto: always be the BEST! Education:Mike has lived in Alaska for over 25 years. He is expert on all North American species and gives Global Safari the very strongest connection to North American hunts. Mike is also very experienced and passionate about sheep and goats worldwide. He has hunted, hosted and guided in over a dozen countries for 20+ species of Ovis and Capra. Characteristics: Leader. Logistics professional. Gear expert. He hunted with our first group in 2003 and still hunt with us! Sasha started hunting from 15 years old. Language skills: Azeri, Russian, Lezghin. likes hard job and does it. One of the experienced huntsmen. Perfectly knows mountains and habits of TUR. Occupied with hunting for 30 years. Huge volume of wok is done by this man. Perfectly knows TUR’s habits. He is huntsmen’ as well as cook’s assistant. Sometimes participates in hunting. He is wonderful video operator. Occupied with hunting for 5 years. This huntsmen is very respected by the staff. Never lets you down. During the Soviet power he participated in military operations in Afghanistan. Occupied with hunting for 20 years. Dedem joined our company in 2003. But stably work from 2008 year. He knows area of hunting very well. Language skills Azeri, Lezghin and a little Russian. Akif joined our team in 2011, but he occupied with hunting for 15 years. He likes hard job and does it. You can be sure to catch a good trophy if he assists you while hunting. He is a calm-natured person. Perfectly knows philosophy of hunting in the mountains. Occupied with hunting for 22 years. He is very endurable and responsive. While hunting he is trying to be always useful. One of the most respected huntsmen. He participates in hunting in big groups. He is a head of huntsmen settlement. Excellently knows hunting districts and habits of animals. He is very experienced hunter. Occupied with hunting for 32 years. He is one of our new huntsmen working in pair with his experienced colleagues. He is a constant chief-cook of company since the day of its foundation. People like him are characterized as “expert in his business”. He finished culinary courses in Baku. Our guests admire national and European dishes cooked by him. His speciality is rissoles out of TUR meet. He is champion in chess play, experienced hunter and just an interesting company. He belongs to new generation of huntsmen. He is endurable and always silent. Joined the company in 2007.